Senior goalkeeper Kaitlin Minnich dedicates herself to excellence, whether it is when wearing a soccer uniform at Yager Stadium or scrubs at nursing clinicals. Minnich chose Washburn almost four years ago because she recognized the high quality of both the soccer program and the School of Nursing. “It fit right because I wanted to do nursing and the School of Nursing really stuck out to me,” said Minnich. “As for soccer, the facilities, the coach, then, and just the environment were great. Both things that I wanted were there so it was the perfect choice. Her decision to become an Ichabod proved beneficial for her and the team. During her career as goalkeeper at Washburn, she has appeared in 36 games with 175 career saves. Minnich earned all-MIAA honors in both 2015 and 2016, as well as being a three-time member of the MIAA academic honor roll. Both athletic and nursing scholarships have played a role in her success at Washburn. She recently received financial assistance as a Capitol Federal True Blue Scholar. After graduation, Minnich wants to pursue a nursing career specifically in pediatrics with the hopes of working at Children’s Mercy Hospital in Kansas City. 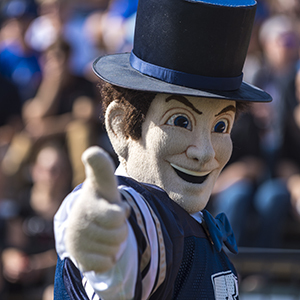 You can give student-athletes like Kaitlin Minnich similar opportunities by supporting the Ichabod Athletic Fund with a gift online. You can also contact Bruce Steinbrock by email or at 785.670.1334 to learn about creating an endowed scholarship or estate gift that will change student-athletes' lives for generations to come.